Gold plated tungsten polished ring price is 19.00USD/PC on Apr. 16, 2019. Created in breathtaking gold plated tungsten, this ring is ideal for those who want a classy yet bold look. The beveled edges and interior are polished to perfection. The black center is embraced with a brushed finish, adding subtle texture. This ring is also made with a flat profile and a rounded inner shank for ultimate comfort and an easy slide. Gold plated jewelry is an excellent choice for people who want the rich look of gold at a more affordable price. Polished tungsten carbide ring price is 7.00USD/PC on Apr. 8, 2019. 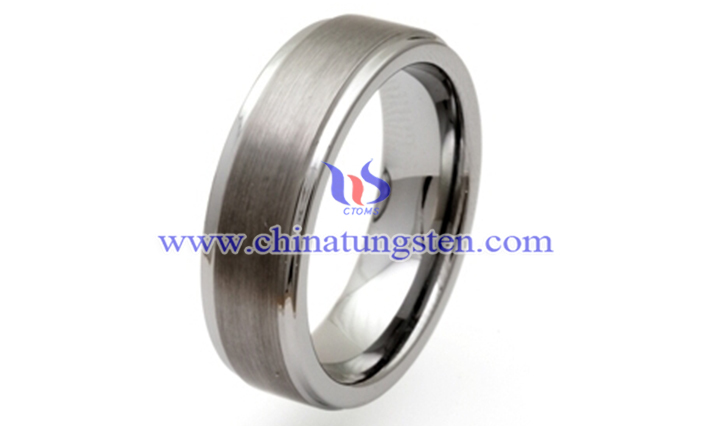 Tungsten carbide, one of the hardest materials available, the most scratch resistant of any metal, which is four times harder than titanium, twice as hard as steel and almost impossible to scratch. The resulting metal can be designed into tungsten carbide rings that are both visually stunning to please the eye, durable enough to withstand everyday use and hypo-allergenic. Polished tungsten carbide ring has a matt or satin finish with polished edges and comes with a comfort fit system on the inside of the ring. Black tungsten wedding ring price is 7.90USD/PC on Mar. 28, 2019. This elegant style from our ring is truly an amazing design. The brushed black finished center of the ring makes it less glossy for men who prefer a more subtle flat black look. However, the polished shiny beveled edges give off enough light to attract attention to its beautiful design. This style is available in 4mm, 6 mm, 7 mm, 8 mm and 10 mm wide for couples who desire a matching set. black tungsten wedding ring is very durable, but can be scratched. 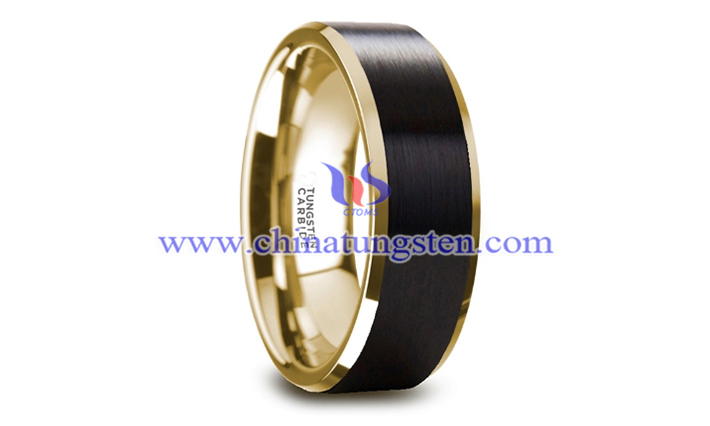 Gold-plated tungsten carbide band price is 14.00USD/PC on Mar. 05, 2019. The classic domed style tungsten band is finally available as a gold tungsten wedding band. This ring has a rich gold finish over the tungsten carbide to give it a beautiful gold yellow hue. This ring can be worn as a wedding band or promise ring. Its sizes can be made according to customers’ requirements. Tungsten carbide ring price is 10.00USD/PC on Feb. 21, 2019. Whether your style is classic, modern or somewhere in between, there’s a design for everyone. Add sparkle with tungsten diamond and gemstone bands, opt for a neutral band in gunmetal gray, platinum white or matte black, or go bold with patterned and jeweled inlays. For a natural look, tungsten wood inlay bands combine metal with real wood—perfect for the outdoorsy couple. Gold plated tungsten wedding ring price is 14.00USD/PC on Jan. 29, 2019. The classic domed style tungsten ring is finally available as a gold tungsten wedding ring. This ring has a rich gold finish over the tungsten carbide to give it a beautiful gold yellow hue. This ring can be worn as a Wedding Band or Promise Ring and is available in 6 mm, 8mm and 10 mm. Tungsten rings are an affordable option. They come with a lower price tag than traditional gold bands and other jewelry metals like sterling silver and platinum. Black tungsten wedding ring price is 7.10USD/PC on Jan. 02, 2019. Like your love, tungsten wedding ring can last forever. Tungsten carbide is among the strongest metals on Earth, according to the Mohs Scale of Mineral Hardness. It’s harder than steel and titanium, and 10 times harder than gold, making these rings are scratch-resistant and durable. They won’t lose their shape over time, and can stand up to the wear and tear of an active lifestyle. This classic and edgy black tungsten wedding ring features a brushed finish with a single polished offset groove. Tungsten wedding band price is 6.60USD/PC on Dec. 26, 2018. Composed from a light brown antler inlay, this beautifully polished and beveled ring introduces a subtle design element to the wedding band. This wedding band is made from tungsten carbide, one of the most durable, scratch resistant metals on Earth. Skillfully crafted, the antler inlay has been gracefully set in the center of the ring highlighting its clear tones of white, brown, and navy. This wedding band comes in a comfort-fit for supreme comfort and available in an 8mm width. Tungsten carbide ring price is 4.90USD/PC on Dec. 07, 2018. If marriage is really the tomb of love, then tungsten carbide ring can be used as this "sweet grave". Marriage means to accompany each other in a flat and passion-faded life status, no matter what happened, the promise to love will never change. Own the excellent wear resistance and durability, tungsten carbide ring could be used as the most favorable preset for wedding anniversary. Tungsten carbide bracelet price is 19.40USD/PC on Nov. 30, 2018. Tungsten bracelet engraved with the name, birthday, dating date, etc., is really an amazing gift to the lovers for each other in wedding anniversary, also could be used as the presents for the bridegroom. The deep love and the best wishes is carried from the tungsten carbide bracelet. As its good properties, the bracelet could keep the gold plating color eternally if you protect it well, besides, it is wear resistant.